Do you have ancestry from the University of Tasmania? University calendars contain a wealth of information on the people associated with the university - making them a great genealogy tool for anyone looking to explore their ancestry or build their family tree. 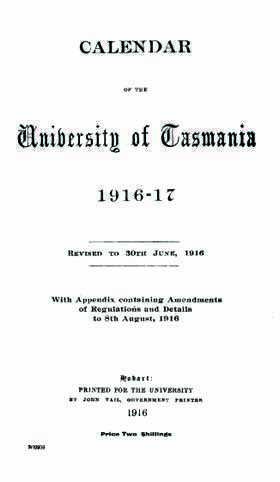 If any of your ancestors may have been connected to Calender University of Tasmania between 1916 and 1917, be sure to check these records!